After over two years of testing and several rounds of deliberation, the International Code Council (ICC) has settled on a batch of modest code changes that will embrace tall timber buildings in the United States. The changes are due to take effect in 2021, after approval from ICC’s Ad Hoc Committee on Tall Wood Buildings (TWB) in December 2018. The 18-member TWB group is made up of fire, concrete, steel, gypsum, and wood specialists as well as architects, engineers, and code officials from around the country who have been working to craft the new codes and prove that tall wood structures can be built safely. Current regulations allow mass timber construction for only six-story structures and under, although a handful of taller mass timber buildings have been built internationally, including the 18-story Brock Commons Tallwood House in Vancouver, Canada, among others. The officials conducted research and performed multiple fire tests—including controlled burns of five two-story CLT structures at the National Bureau of Alcohol, Tobacco, Firearms, and Explosives in Baltimore—to back the safety of their proposed changes. 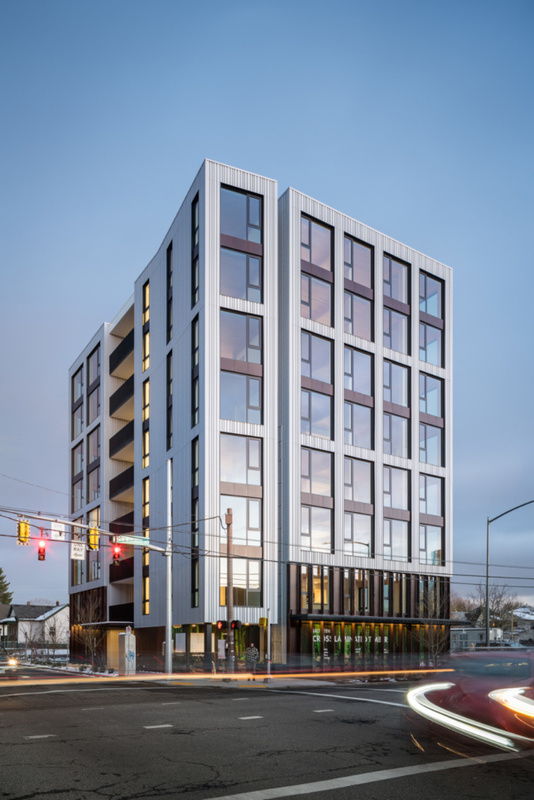 The new regulations, aside from officially defining mass timber construction types and specifying minimum dimensions for timber elements, will also include three additional construction types in the “heavy timber” (Type IV) category—dubbed “IVA,” “IVB,” and “IVC”—that establish building codes for 18-, 12-, and 9-story mass timber buildings, respectively. In 2018, Washington State became took the lead by incorporating tall timber codes into its building codes.